Artificial intelligence is getting a foothold in medicine. Last week, the Food and Drug Administration approved a computer algorithm that can help doctors identify wrist fractures. Researchers at Johns Hopkins have much more ambitious plans, too. 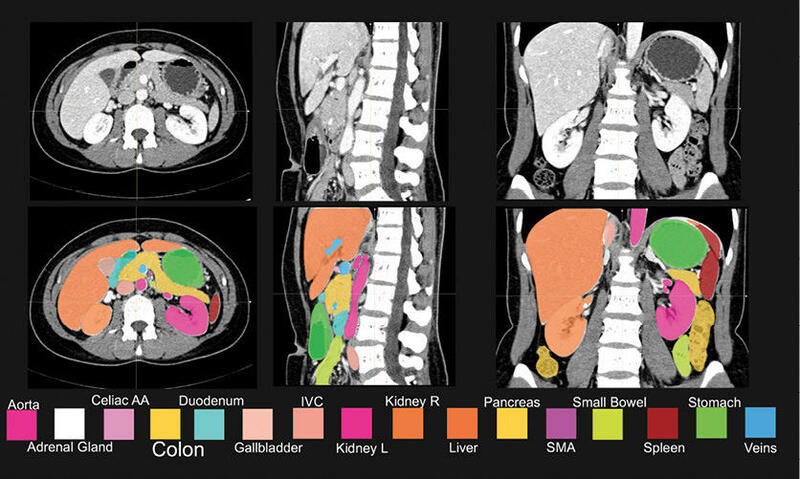 They are using AI to train computers to do something very difficult, diagnose pancreatic cancer. NPR's Richard Harris visited what is called The Felix project. 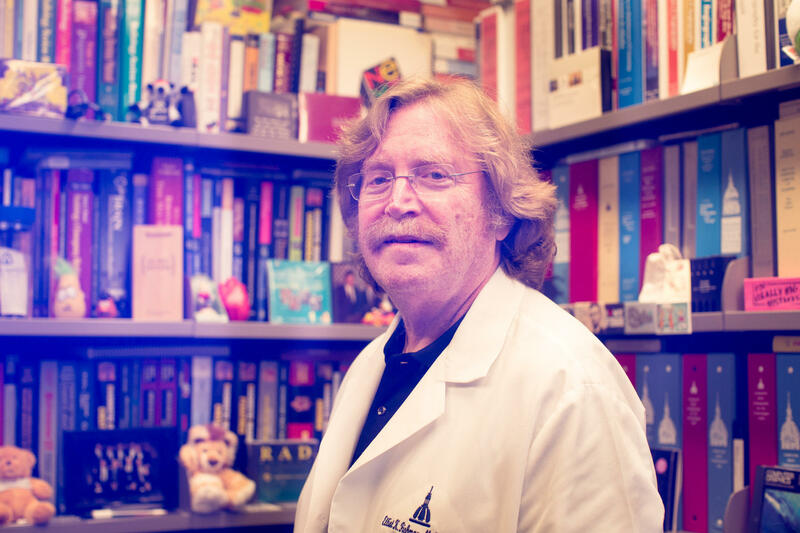 RICHARD HARRIS, BYLINE: Elliot Fishman has spent his career as a radiologist pushing one vision, to bring powerful computing into his field of medicine. ELLIOT FISHMAN: When I started radiology, they said, OK, don't worry about reading the chest X-rays because in two years, the computers will read them. That's 35 years ago. HARRIS: Computers still can't perform that seemingly simple task, despite sky-high expectations and more than a little hype around the role of artificial intelligence. Fishman is undaunted. In fact, he's taken on one of the deadliest malignancies, cancer of the pancreas. FISHMAN: Five year survival is 7 percent. HARRIS: One reason it's so deadly is doctors usually diagnose the disease when it's too late to remove the tumors with surgery. Fishman and his team want to change that by training computers to recognize pancreatic cancer early. Dr. Karen Horton, chair of the radiology department, is part of this effort. KAREN HORTON: Elliot and I are very subspecialized, so we are really, really good, right? So we see more pancreatic cancer than probably anybody in the world. So if you could put - box in a computer every case that Elliot and I saw and let the computer learn from that, you could be, I would argue, better than us but certainly as good as us, which would be better than most of the practicing radiologists. HARRIS: The idea is to build pancreatic cancer detection into CT scanner software. 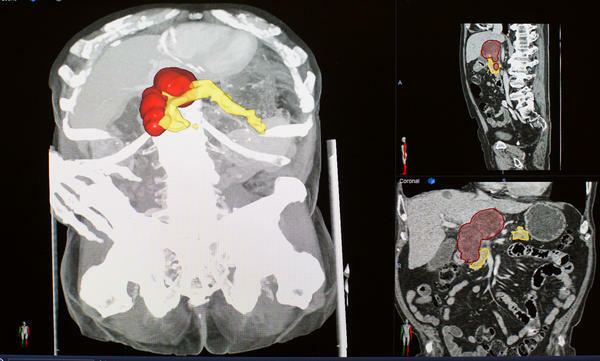 Americans get 40 million CT scans of the abdomen every year for everything from car accidents to back pain. Horton says imagine if a computer program with expert abilities could look for pancreas tumors in all of those scans. HORTON: And that's the ultimate opportunity, to be able to diagnose it before you have any symptoms and at a stage where maybe it's even too subtle for a radiologist to be able to detect it. HARRIS: The challenge lies in bringing this idea to fruition, Fishman says. FISHMAN: You know, this idea sometimes people say is, oh, you just take a bunch of cases, you put them into the computer, the computer will figure out what to do. That's nonsensical. FISHMAN: The pancreas is the hardest. You know, the kidney looks like a kidney. The liver is a big thing, the spleen - the pancreas is a very soft organ, sits way in the middle - you saw the pictures - and the shape varies from patient to patient. Just finding the pancreas even for radiologists at times is a challenge. This is my lab. So we do a lot of the 3-D here. And Eva will show you how we do some of the segmentation. EVA ZINREICH: Eva Zinreich. How are you? HARRIS: I'm Richard Harris. It's nice to meet you. 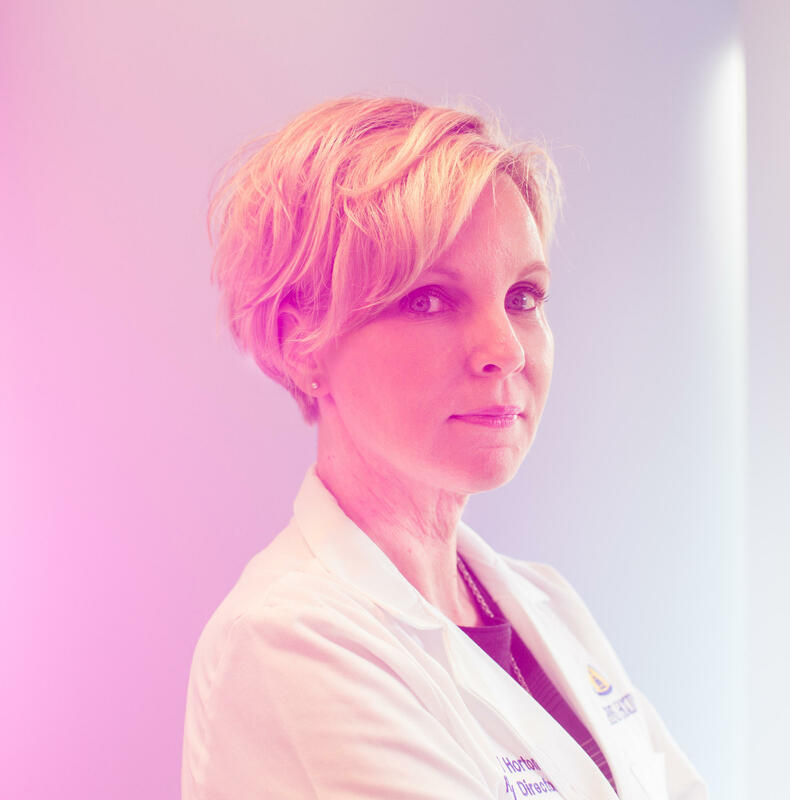 Eva is Dr. Eva Zinreich, a retired oncologist who now comes in to train computers to recognize the difference between a healthy pancreas and one with disease. ZINREICH: So I show you in 3-D because that's the fun stuff, OK? HARRIS: She mouses across the screen and starts filling in the various parts of a CT scan with a digital paintbrush. She starts with the biggest blood vessel, the aorta. The computer program helps her draw within the lines. ZINREICH: It's pretty good, right? ZINREICH: Now we can do whatever organ you would like to see. HARRIS: Well, let's do the pancreas. ZINREICH: OK, let's do the pancreas. HARRIS: She colors the pancreas yellow and then pulls out a red pallet to mark a darker area inside the organ. ZINREICH: You see this shaded area? That's the tumor. HARRIS: It looks like a pretty big tumor. ZINREICH: It's a very large tumor. HARRIS: It will take her almost four hours just to mark up this single scan. 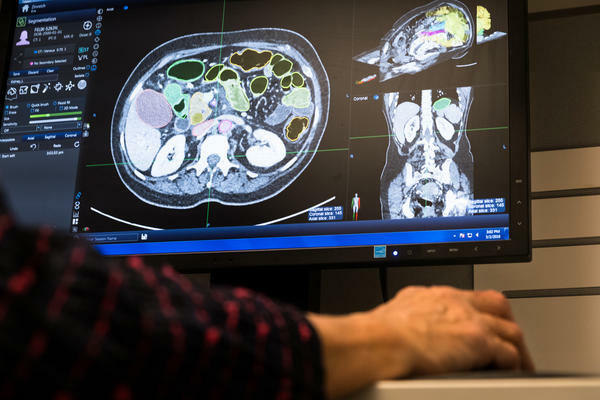 Four medical experts have been working full time for more than a year on this project, and they've done this painstaking work for about 1,000 healthy volunteers and they're now approaching 1,000 images that have pancreatic tumors. In another workstation in the lab, Linda Chu is trying to make the computer system even better than Elliot Fishman and Karen Horton by having the computer look for signs of cancer in the scans beyond what the human eye can see. LINDA CHU: I believe that there's more to the images. HARRIS: She says she's making progress - for example, training software to identify subtle clues that distinguish between a benign cyst and cancer. HARRIS: That's kind of exciting. CHU: Yeah, very exciting work. HARRIS: But it's also part of the challenge of AI. If the computer highlights something that a human expert can't see and you don't know how it arrived at that conclusion, can you trust it? CHU: But that's what makes the research interesting. HARRIS: Horton says if The Felix Project for pancreatic cancer succeeds, all the information they collected on healthy people can be used to study other organs. HORTON: You could have Felix kidney, Felix liver, Felix lung, Felix heart. And but you have to attack it that way, each organ - what's the pathology, what's the cancer? - if you want to focus on cancer. HARRIS: It's not as simple as dumping piles of data into a computer and just letting the algorithm sort it all out. Richard Harris, NPR News. Transcript provided by NPR, Copyright NPR.